So the other night I was watching the old Flite Test video on the eRC Micro Stik and I thought it was pretty cool. So I started looking into parts and ideas of how I could build an FT inspired 'Stik' plane. 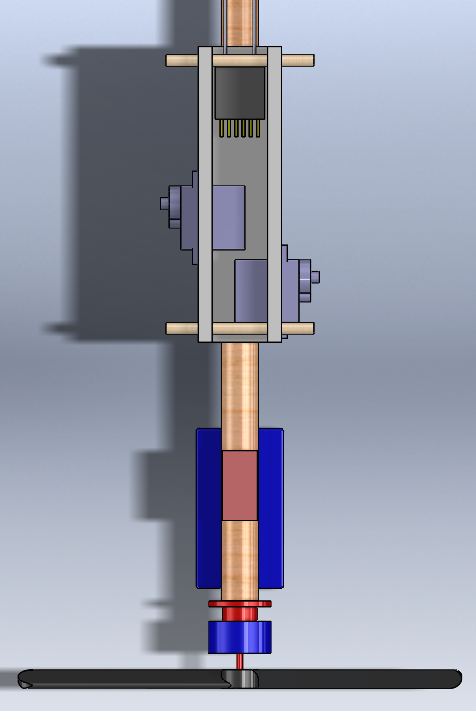 Today on my lunch break I threw together this design in SolidWorks. 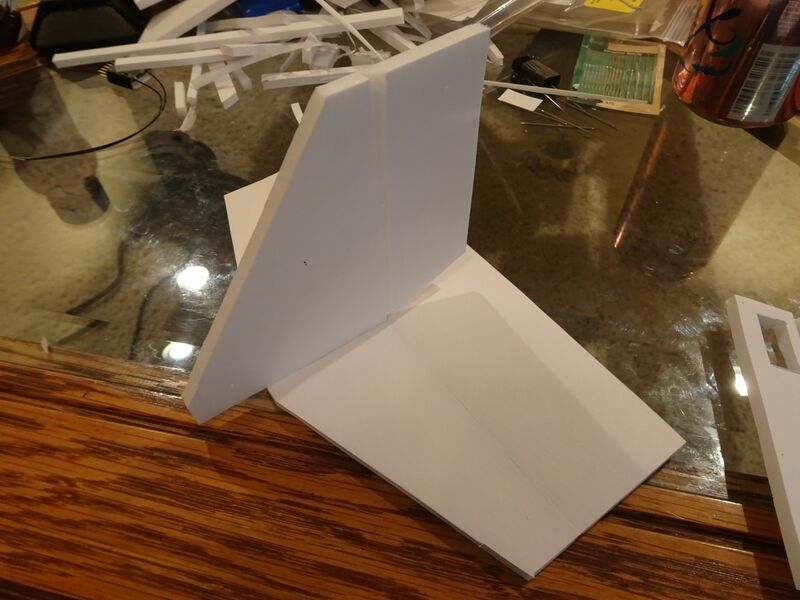 It's based around a 1/2" wood dowel (thinking something like Pine or Basswood), wing and control surfaces are dollar store foam board. 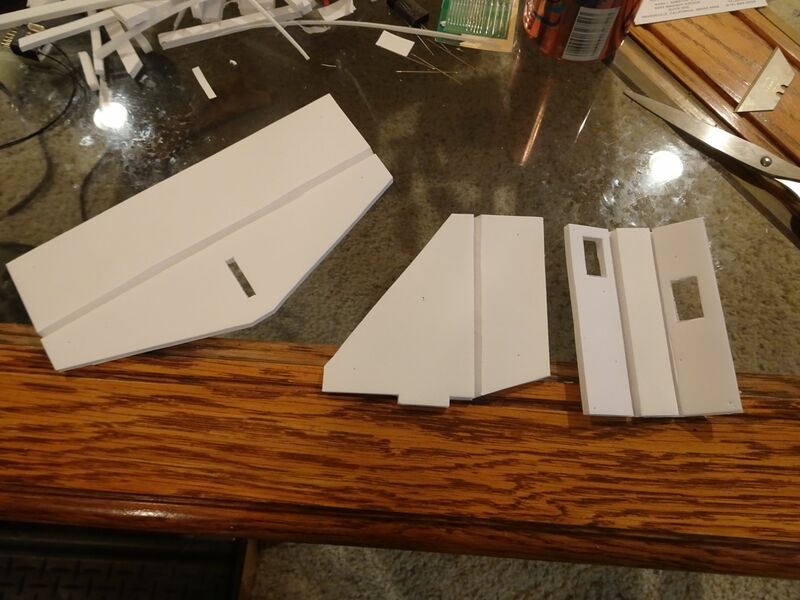 If my estimations are correct, I can get all the wing and tail surfaces from 1 piece of foam board. Wings have nominally 5-deg dihedral on each side. 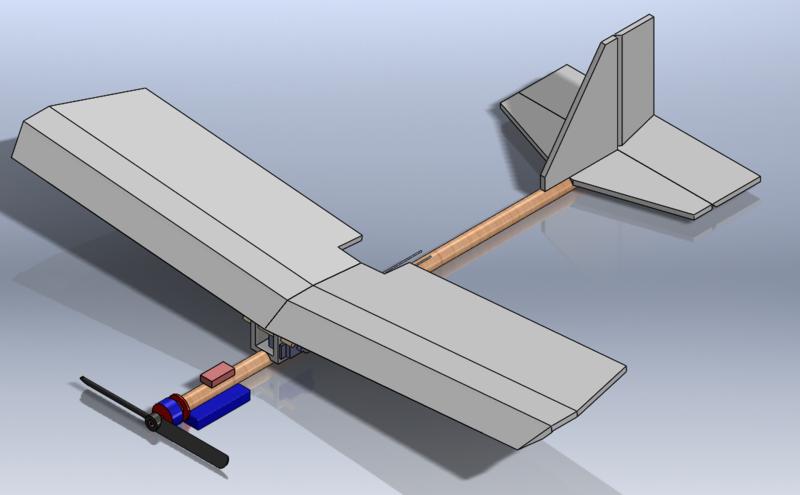 Wingspan is nominally 24in, with an 8in wide elevator (1/3 wingspan) and 4in tall rudder (1/2 elevator). 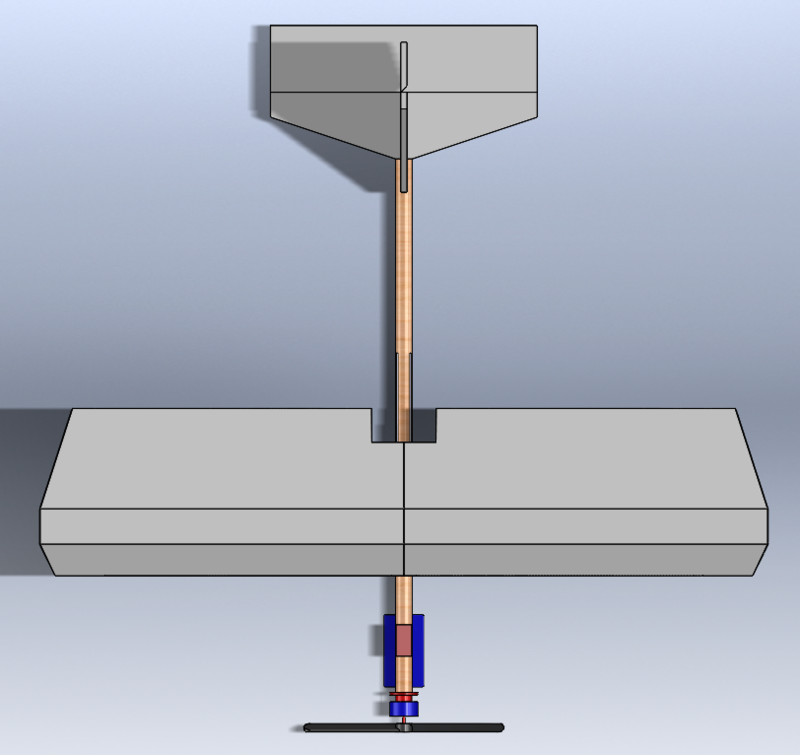 I'm letting SolidWorks do all the math for the CG. The foamboard density I used was 0.062 g/cm^3. All the electronics bits I applied the manufacturer's stated weights. I was aiming for the balance point to be about 1/3 back from the leading edge. I chose 1/3 because that's what Josh Bixler says he uses for most of his designs. 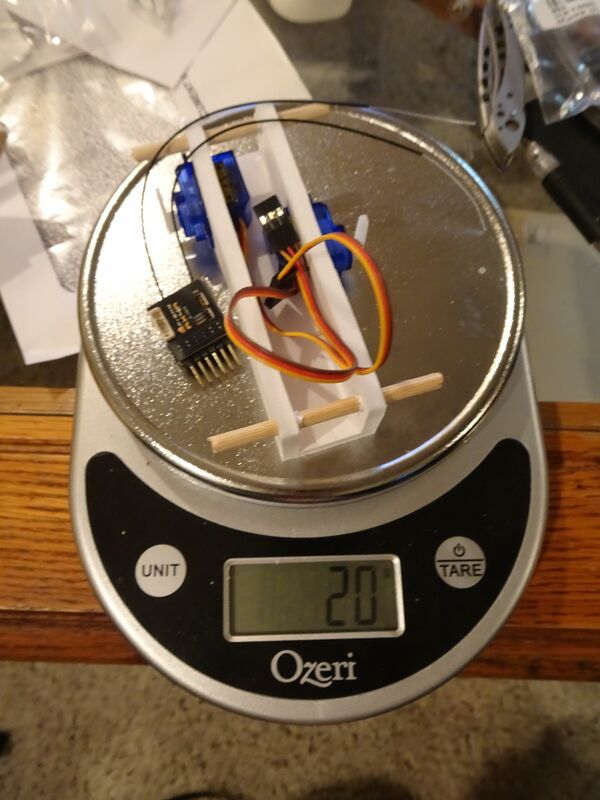 According to SolidWorks mass calculations, I'm right around 135g as shown. This of course doesn't account for hot glue, which I will have to use sparingly. I already have most of the electronics parts on order from the HobbyKing USA warehouse, unfortunately the motor is currently on backorder so I can't get to excited. Half-inch square balsa stick with a mini scout wing works pretty well . Excited to see how this turns out, might even have to build one! I think this just turned into an official build thread and not just a concept proposal. 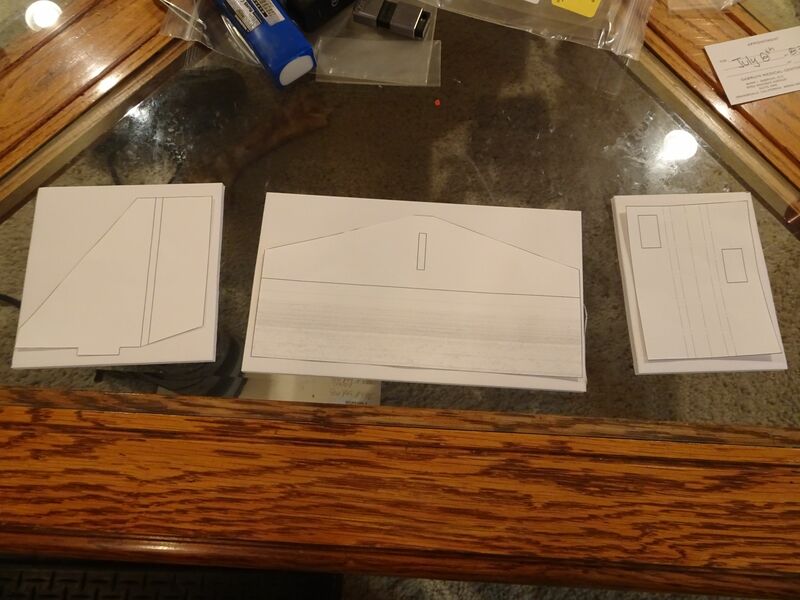 Yesterday I generated flat patterns for everything except the wing and got busy with the dollar store foamboard. So far so good, I need to figure out how I'm going to print and cut the wing sections. The wing is small enough it could be cut as 1 part from a sheet of foam board, or I can keep it as two pieces. Either way I'm going to have to use tiled plans or find someone with a large format printer. I also need to buy the dowel. Another update! This time it's more electronics stuff, because I had orders come in. So I have a slight change to the bill of materials. The motor is now a Cobra Motors C-2202/70, kv = 1530. This will swing either an APC 7x4SF or 7x5SF. The reason for this is mainly because HobbyKing doesn't look to be getting a shipment of the motor I originally wanted. The upshot here is that the motor should be a tad more powerful, the downside is it's a tad heavier. I also decided to use a different ESC. I was going to use either a Turnigy Plush 6A or 10A, but now I'm going to use a PowerUp 10A from Aloft hobbies. This is only 2g heavier than the Plush 10A at 11.1g, but it comes with an SBEC that can support 5A @ 5V which is nice. The SBEC should also be a bit more energy efficient than the linear BEC the Plush ESC uses. 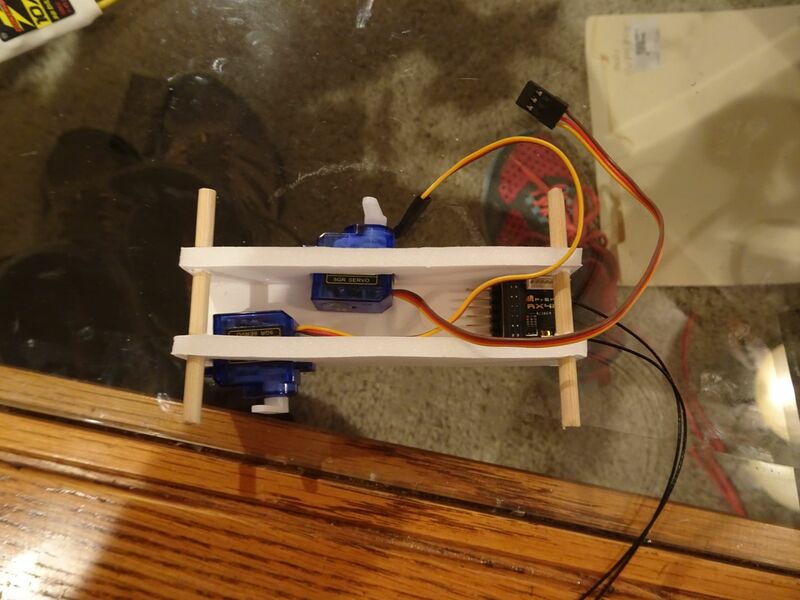 I also got the Hextronik HXT500 5g servos in. 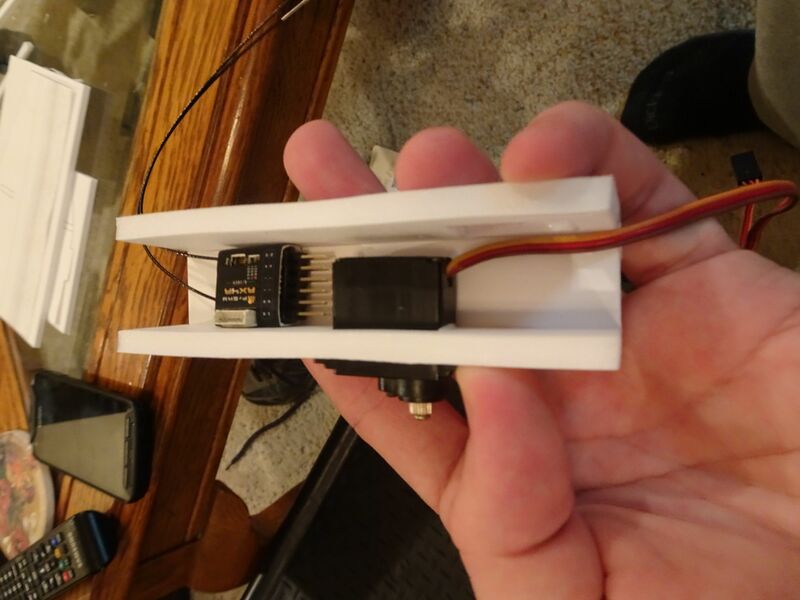 The electronics cavity with servos, receiver and BBQ skewers is around 20g weight, but I haven't glued the servos in place yet so that will change things slightly. 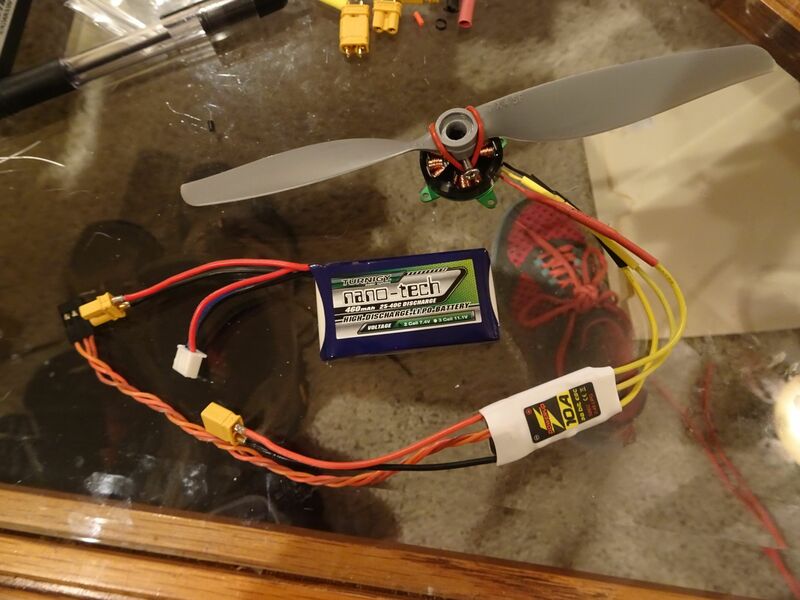 I'm also opting to use XT30 connectors for the battery instead of the JST the LiPo battery came with.